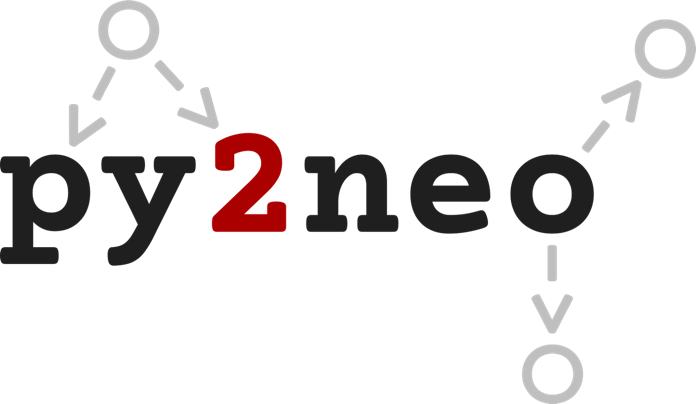 Here's a look at what py2neo can do for you when working with Neo4j. 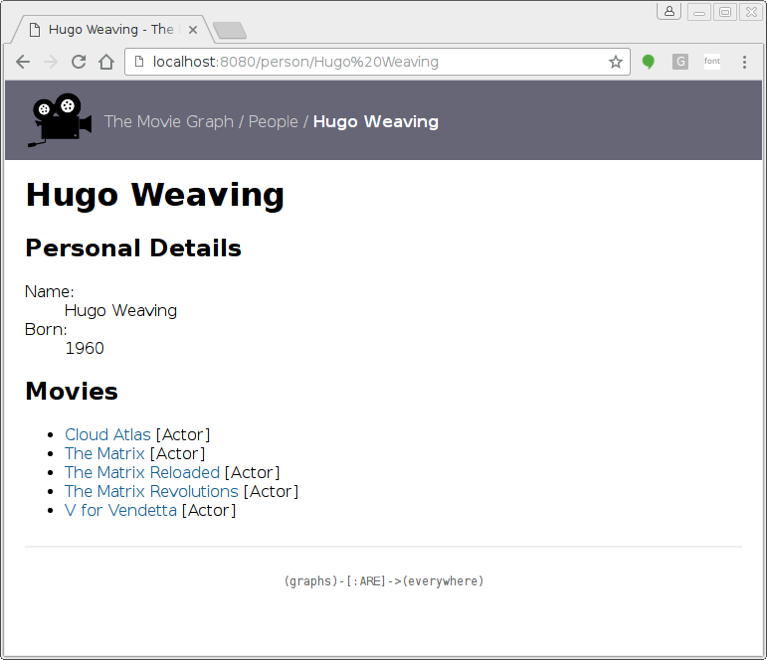 An OGM (Object-Graph Mapper) is to a graph database what an Object-Relational Mapper (ORM) is to a traditional RDBMS: a framework on which database-aware domain objects can be built. The py2neo OGM centers its operation around the new GraphObject class. This acts as both a base class upon which domain objects can be defined and a manager for the underlying node and relationships that persist it. Here, we define a Person class with two properties. Properties in Neo4j have no fixed type, so there's less to define than there would be for a SQL field in a typical ORM. We're also using the same names for the class attributes as we do for the underlying properties: name and born. If necessary, these could be redirected to a differently named property with an expression such as Property(name="actual_name"). Lastly, we define a __primarykey__. This tells py2neo which property should be treated as a unique identifier for push and pull operations. We could also define a __primarylabel__ although by default, the class name Person will be used instead. This introduces two new attribute types: RelatedTo and RelatedFrom. These define sets of related objects that are all connected in a similar way. That is, they share a common start or end node plus a common relationship type. Take for example acted_in = RelatedTo(Movie). This describes a set of related Movie nodes that are all connected by an outgoing ACTED_IN relationship. Note that like the property name above, the relationship type defaults to match the attribute name itself, albeit upper-cased. Conversely, the corresponding reverse definition, actors = RelatedFrom("Person", "ACTED_IN"), specifies the relationship name explicitly as this differs from the attribute name. bill_and_ted.title = "Bill & Ted's Excellent Adventure"
All related objects become available to instances of their parent class through a set-like interface, which offers methods such as add and remove. When these details are pushed back into the graph, the OGM framework automatically builds and runs all the necessary Cypher to make this happen. Note that the underscore character is used here to refer to the node or nodes being matched. 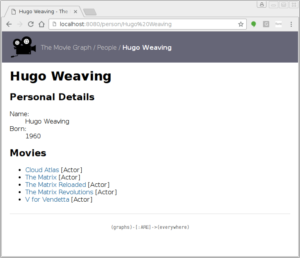 There's a lot more information available in the py2neo documentation and there's also a demo application in the GitHub repository that shows how this all comes together in a mini movie browser (screenshot below). As always, if you have any questions about py2neo or the official drivers, I’ll try my best to help. Published at DZone with permission of Nigel Small , DZone MVB. See the original article here.